IMCDb.org: 1968 Renault 10 Alconi Série 2 in "More Time, 1994"
With that white stripe, this could in fact be a Renault 10 Alconi, assembled and tuned in South Africa, back in 1967-68. I wonder why the 'built in' flag is Zimbabwe. Shouldn't that be Saouth Africa ? I think, it should be more correct, to make it 'built in Zimbabwe', than 'built in South Africa', because it was assembled in Zimbabwe. 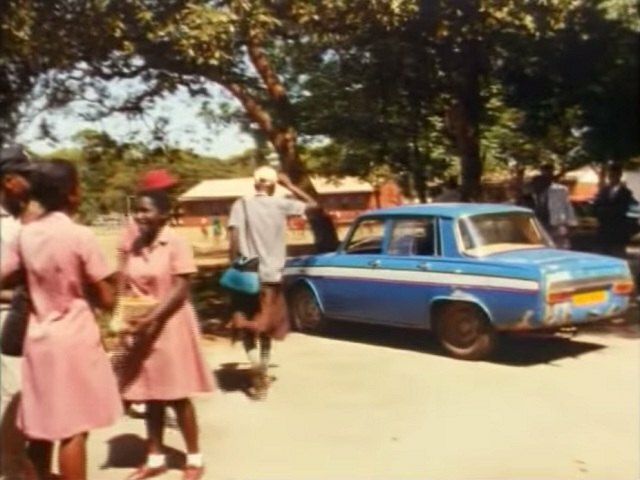 But if this is an Alconi version, it must be a South African car, rather than a Zimbabwean car. Yep, the Zimbabwean flag is a relic of the former identification… which is still there. Who's gonna make the change? I really don't know about 'Alconi' on this time, than I add this car. My mistake. But, we can change 'built in' country. … I put a 'made for ZA' but is it necessary?